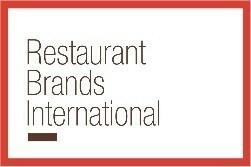 TORONTO, Jan. 28, 2019 /CNW/ - Restaurant Brands International Inc. (TSX/NYSE: QSR, TSX: QSP) will release its full year and fourth quarter 2018 financial results on Monday, February 11, 2019 and will host an investor conference call that morning at 8:30 a.m. Eastern Time. The earnings call will be webcast on the company's investor relations website http://investor.rbi.com and a replay will be available for 30 days following the release. Investors may also access the conference call via the following dial-in numbers: (877) 317-6711 for U.S. callers, (866) 450-4696 for Canadian callers, and (412) 317-5475 for callers from other countries.